There are few areas of the 2009 Dallas Cowboys that can be depicted as being "soft", but there is one area in particular that is of great concern, moving forward. The offensive line of the Cowboys must be better next year in order for this team to continue to progress. Last Sunday in Minnesota, Tony Romo spent the majority of the afternoon running for his life, and the rest of the day on his back. To put it mildly the Cowboys offensive line played miserably in every way. The players would probably say they just had a bad day, and they would be wrong. Marc Colombo, Doug Free, Andre Gurode, Kyle Kosier, and Leonard Davis were outplayed, out worked, and just downright beaten. I've heard fans discussing their displeasure with the play calling of Jason Garrett, and specifically his supposed fascination with the delayed runs. Jason Garrett fell in love with that type of running play for only one reason—it was/is the best way he could think of to disguise the Cowboys' problems along the line. For being one of the largest lines in the league this line plays extremely soft and lacks a nasty streak. Marc Colombo was supposed to be a big lift for this unit, if for no other reason than his nasty streak. Unfortunately, for everyone involved, that did not happen. Vikings defensive end Ray Edwards (a solid DE, but far from being All Pro) repeatedly blew past Colombo like he was a street walker begging for change. And let's be honest, as well as Doug Free played in his absence, he would have no chance against Jared Allen. The Cowboys tried to slow the bleeding by keeping extra blockers in—the Vikings just pinned their ears back and attacked the soft interior of the Dallas line. 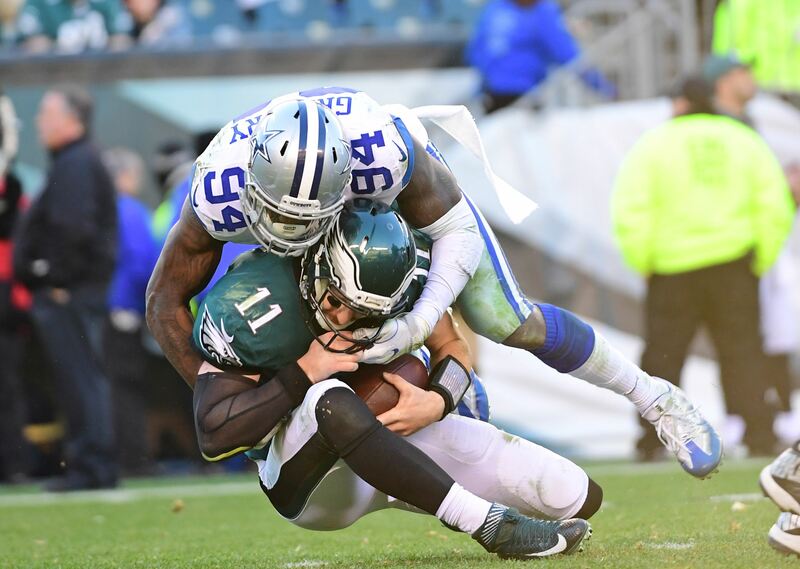 The Cowboys have some work to do here, and that work is going to start with upgrading the tackle position. Flozell Adams has been one of the best left tackles in the game for a long time, but his best years are far behind him. The time is now to find his successor. Marc Colombo has been great for the Cowboys (outside of last week in Minnesota) but his spot will be heavily evaluated by the coaching staff. Last year Dallas drafted Robert Brewster with the hope that he could come in and eventually take over one of those tackle spots. However, Brewster went down early with an injury and never played a snap in 2009. The Offensive line will most assuredly be addressed in this year’s draft. But just who are the most viable players? Russell Okung - Senior Tackle from Oklahoma State 6'5" 300 lbs. 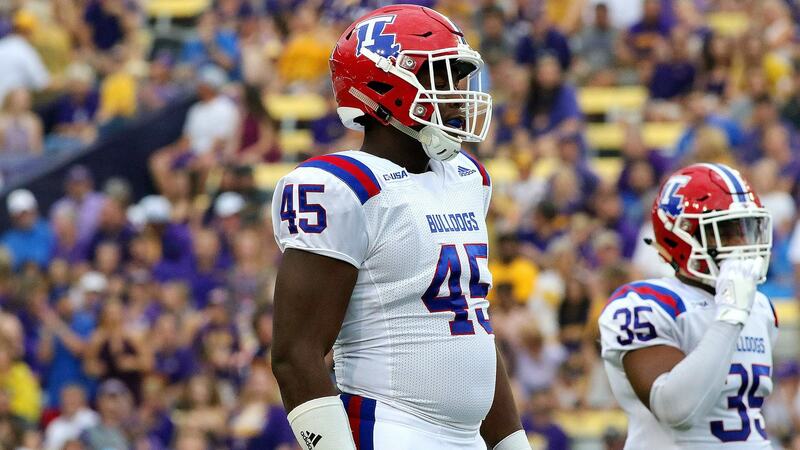 Graded by many as the best Tackle in this year’s draft, some throughout this year even said that he may have a shot at being the first overall selection. While he was not the starter at the beginning of his freshman season at OSU, by game 6 of that year he was and he never looked back. Okung is an athletic tackle with quick feet. He's able to handle the edge-speed rushers, yet still strong enough to handle the bull rush. Coming from the pass happy Big 12 afforded him the opportunities to hone his pass protection skills, but don't think for a second that he's a one-trick-pony. He is an excellent run blocking tackle and his agility and quickness allow him to get out in front and open huge holes. Russell will be long gone by the time the Cowboys make their first selection as it stands now, but if management feels that they need to replace Flo quickly, this would be the guy to move up in the draft for. Anthony Davis - Junior Tackle from Rutgers 6'6" 325 lbs. Anthony Davis is one of the top offensive linemen in the nation, and before that he was one of the top prep offensive linemen in the nation, and odds are very good that he will be a top offensive lineman in the NFL. Davis has been a man among boys in the Big East conference. As a sophomore in 2008 he was second team all conference. As a freshman he was a First Team Freshman All America at Rutgers. Anthony Davis is the Prototypical NFL Left Tackle—he is big, strong, agile, and moves extremely well for a big man. 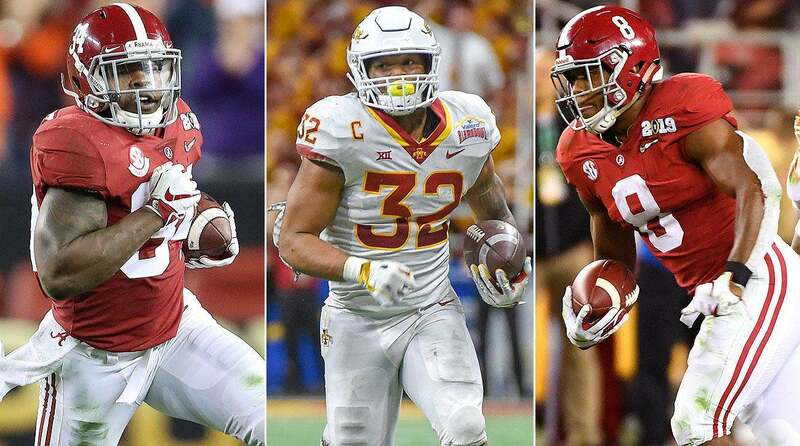 Davis will likely be on the board in the vicinity of where Dallas selects in the first round, and if he is there, Dallas would have a very difficult time letting him get away. Bryan Bulaga - Junior Tackle from Iowa 6'6" 312 lbs. Bryan Bulaga is just another outstanding offensive lineman to come out of Lineman U. (Iowa). Bryan began his collegiate career as a Guard and he started five games at that spot as a freshman. The following spring he became the starting left tackle at Iowa, where he has remained the last two years. Bulaga is big and has exceptionally quick feet for his size. He has very long arms which he uses superbly to run speed-rusher’s right of the play. While he is not as strong as a Joe Thomas or Jake Long, he's still very young and has the body to accommodate some added bulk. Bulaga is an excellent pass blocker—his main priority will be to focus on his run blocking. As with Anthony Davis, he will be in the Cowboys area code and it'll be hard to pass him by. Trent Williams - Senior Tackle from Oklahoma 6'5" 318 lbs. Trent Williams is a very large human being. He has all the physical attributes that one would look for in a Left Tackle. Trent started his career at Oklahoma as a right Tackle, and was only just moved to left tackle before the 2009 season. He's a very solid Tackle but in my opinion he's an underachiever. This was the year he was supposed to be a dominant force for Oklahoma, but if any of you watched any Sooner games this year what you saw was an extremely porous line, and it was Trent Williams leading the charge. Trent Williams will more than likely be drafted among the first four or five linemen taken, and will more than likely never make any kind of contribution. Please Dallas, stay away. Charles Brown - Senior Tackle from USC 6'5" 290 lbs. Charles Brown is yet another athletic lineman to emerge from USC. While at USC he played as a "light" tackle (light as far as NFL standards go) but he has the frame to accommodate some extra bulk without it affecting his athleticism. He's very fast and agile coming out of his stance, and has above average mobility, body control, balance, and change of direction skills. His major flaw, however, is his lack of physicality, power, and mass. He struggles with holding his ground against the bull rusher. Brown has a ton of upside and could step right in and perform well in pass protection. But it will take time, bulk, and strength to improve his run blocking. He could be a very nice 2nd or 3rd round selection for Dallas. Bruce Campbell - Senior Tackle from Maryland 6'7" 310 lbs. Campbell has all the tools—length, athleticism, size, and good footwork—to be an exceptional tackle in the NFL. He sets up quickly, is able to correct and recover, gets to the second level, and is exceptional in space. As a run blocker he seals very well and get this folks, he is the perfect tackle fit for a team that likes to run screens and delayed runs! However, where there is good there is always bad. Campbell is still pretty raw. Yes, he is an elite pass blocker, but his run blocking needs quite a bit of work. He's just not aggressive enough in the run game. He sometimes gets lazy with his technique and has been known to lose the leverage battle. There were a few times at Maryland that he appeared to have a case of the don’t want to's but that team was awful and he was young. But he'll have to prove his dedication. This guy is the wild card of the bunch, he could be a top 20 pick or he could fall to the 3rd or 4th round.